The problem is you’re probably not making any interest to speak of in that account. Then, when you pull cash out, if you trip over some bank rule you owe a fee that wipes out ten years worth of interest. Then you’re better off just putting the money under the mattress. 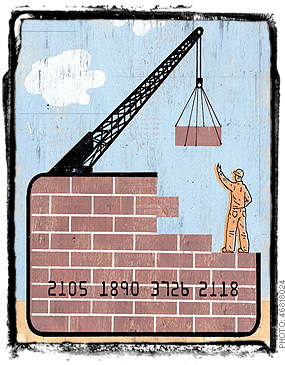 Just because you had a credit card (CC) doesn’t mean you owe the amount the bank claims you do. Has anybody ever asked why the bank never sends you a bill or an invoice for your CC payment? Nope? Funny how they only ever send a STATEMENT OF ACCOUNT. A statement is like this… “You have used $100″… or “Your account is -$100” This is not an invoice or a bill. You have NEVER been billed by the bank because the bank never lent you anything, so they have nothing to bill you for. The credit you “borrowed” from the bank was yours all the time. You created it when you made the application for the account. Make sure you know what money and credit really are before trying to say that isn’t so. Think of a check, you have an amount, a signature and a date…. didn’t your application have all of those? So why do people think that the bank didn’t use the application as a check? Google “promissory note” to find out why this is so. The truth is that you have not borrowed a single cent from the bank and all you have done is pay the bank the amount you (think) you owed plus interest. The fastest and cheapest way to “pay off” CC debt is to just stop paying it. Let the account default and have a debt collector buy the debt. Then the bank will discharge the debt, meaning you no longer owe the bank anything. As you will have no contract with the debt collector that you agreed to pay them anything you are under no obligation to pay them a cent. CC debt free for the price of a stamp or two.